Black Mountain is a great small town, full of charm, and the holidays are celebrated in fun ways. 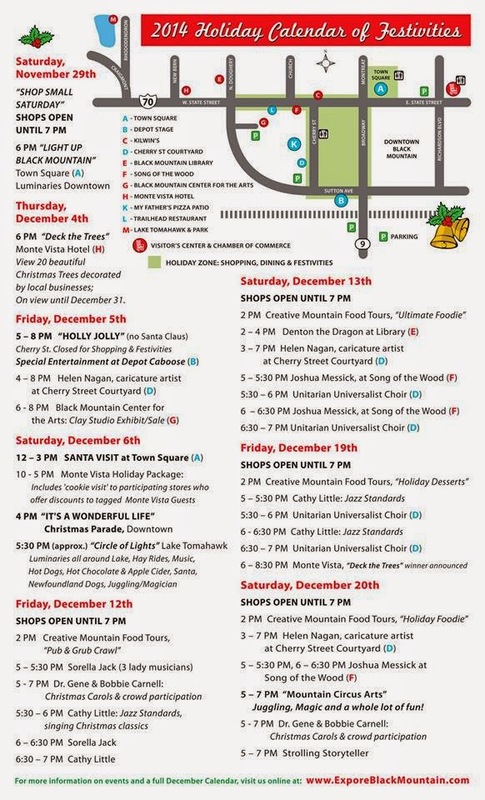 Here is this year’s lineup for the Christmas season in the mountains. This entry was posted in Black Mountain Festivals and Events and tagged Black Mountain, festivals and special events by Inn on Mill Creek. Bookmark the permalink.